Nigeria’s military forces claimed they killed 20 members of the dreaded Boko Haram Islamic insurgency group on Wednesday as they attempted to unleash more mayhem in Borno State. 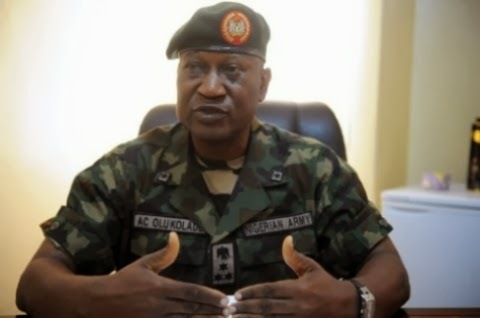 A statement signed by the spokesperson for the Defence Headquarters, Maj General Chris Olukolade, said that the terrorists had planned to attack Ajiri, Mafa and other communities near Maiduguri, as well as Dikwa towards the Borno State border with Cameroon, but were foiled by the security forces, some of whom received various injuries. The troops captured various brands of machine guns and improvised explosive devices from the terrorists, he said, while also confirming that more camps were destroyed yesterday in encounters at various forests and mountain locations in Adamawa and Borno States. He emphasized that the Nigerian military cannot in any way be overwhelmed by the insurgents, neither will the “devious antics of their sympathisers and sponsors” demoralize the fighting spirit of troops. “Nigerians and indeed all well-wishers are enjoined to discountenance the propaganda messages of the terrorists and their backers alleging the inability of Nigerians troops to handle the insurgency,” he said.